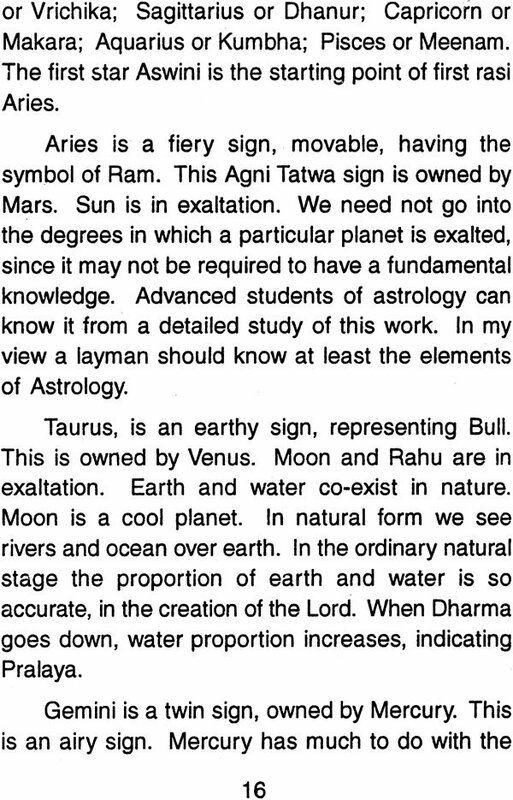 This is my first book on occult science written by me some twenty five years back. I feel glad to place before my learned friends this revised" enlarged book. After placing before the public this book, I have received several letters from various places appreciating my findings. This is the grace of Shri Mahalakshmi. Letters have also been received asking me to explain as to how the meaning of' these 108 numbers has been arrived at by me and the basis for this. Cheiro, the great master had written in his book that he found certain inscriptions about the numbers in Egypt. 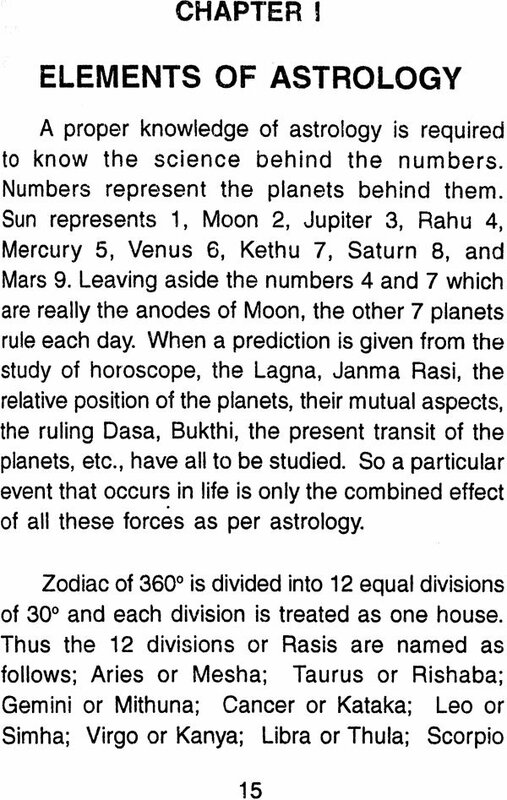 The ancient astrologers have found several wonders in the movement of stars and have fixed a cycle of 60 years and the present system of timing is 60 seconds per minute and 60 minutes per hour and this 60 seconds in turn is for 3600 or in other words for 12 Rasis. Thus a number can be calculated to the nearest of 5 seconds. 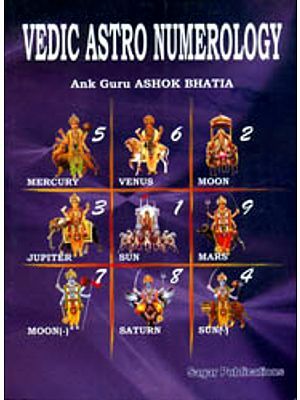 These 108 numbers are distributed over these 12 Rasis and calculating the 12 bhavas for each number will reveal the great truth, that, for example for 28 the 12th number is 37. Thus 28 indicates total destruction. If I go on listing out this, the bock may not interest you. To those who want to make research, this amount of information is enough. 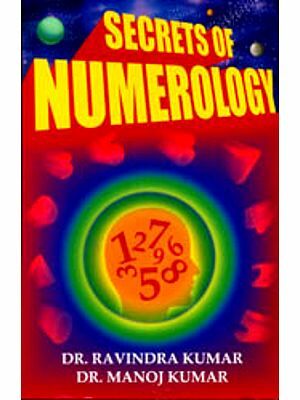 The numbers vibrate according to the thoughts in the mind. So one can follow this method also. 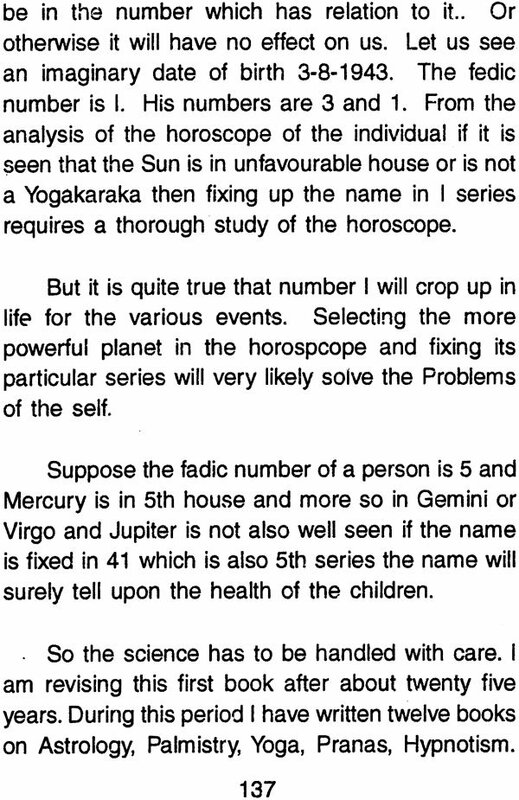 If you are not in a position to give change for your name, then at least select a name of the Lord in some favourable number and write this as many times as possible and then also you can get better vibrations in life. I have to thank (late) Shri K. Janakiraman Proprietor, Balaji Publications. I am now popular and have written twelve books. This is due to his encouragement. Now his son-in-law Shri Viswanthan is the Proprietor. It is quite flitting to state that he is following the very noble traditions left by his father-in law. I pray the Lord Balaji Venkateswara to bless him and his family and this banyan tree Balaji Publications for all prosperity. 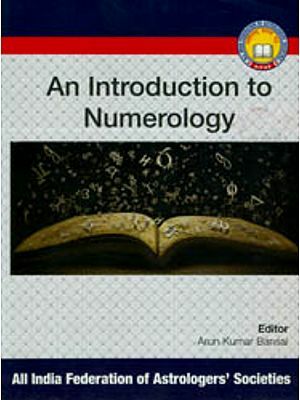 Numerology, the science of numbers, deals with the force behind the numbers. 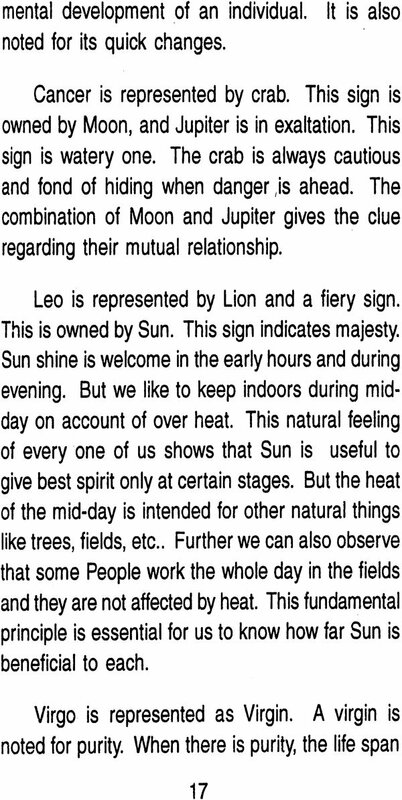 In common life the numbers are used for the quantitative values and without numbers civilisation is impossible. The numbers reveal the great truth behind them. When we see a man well placed in life we say that it is his fate. When there is a car accident and the man dies we again say it is his fate. The word fate is used after the occurrence. How to get at the fate for the high status, for the removal of the evil is the problem. From time immemorial there has been and continues till now and will go on forever one major problem for the human beings. 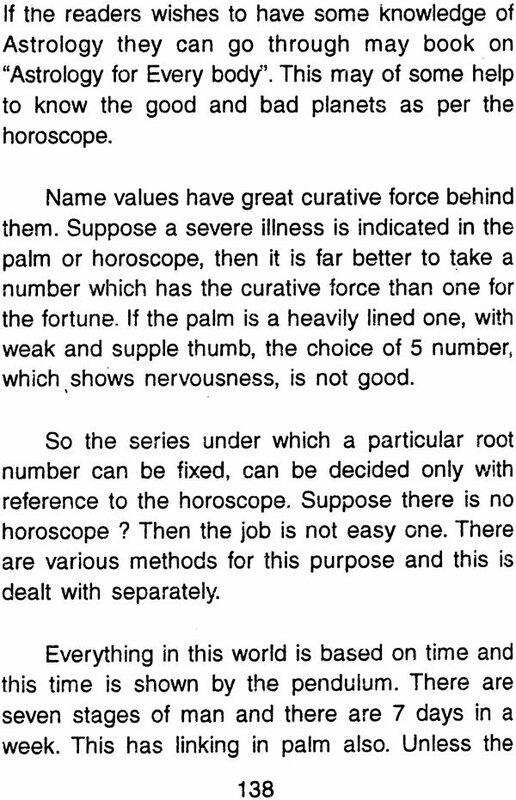 This major problem is to get pleasure and happiness and to get rid of pain and sorrow. The solution for this problem is no easy one. 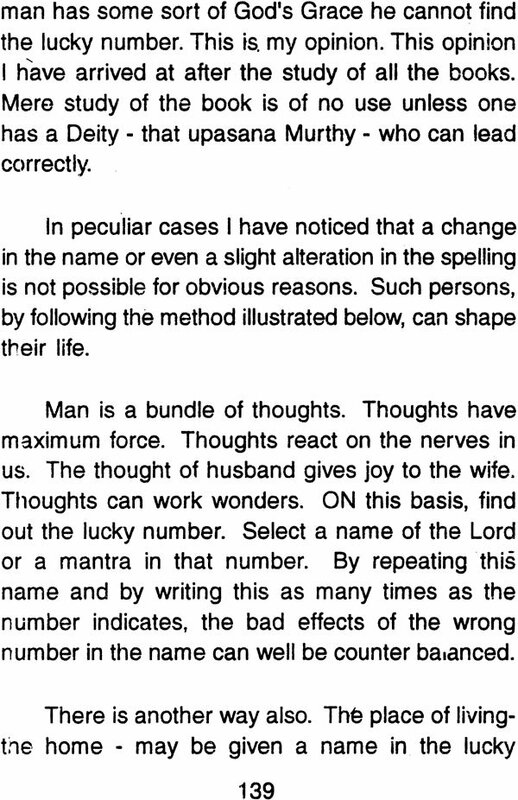 This problem engaged the lives of many seers and men of thought. Some arrived at the conclusion that the whole world is full of pain and there is no pleasure in it. Some concluded that pain and pleasure, happiness and sorrow are mixed and cannot be separated. Eating sweets gives pleasure to the tongue but after two hours gives pain in the stomach. 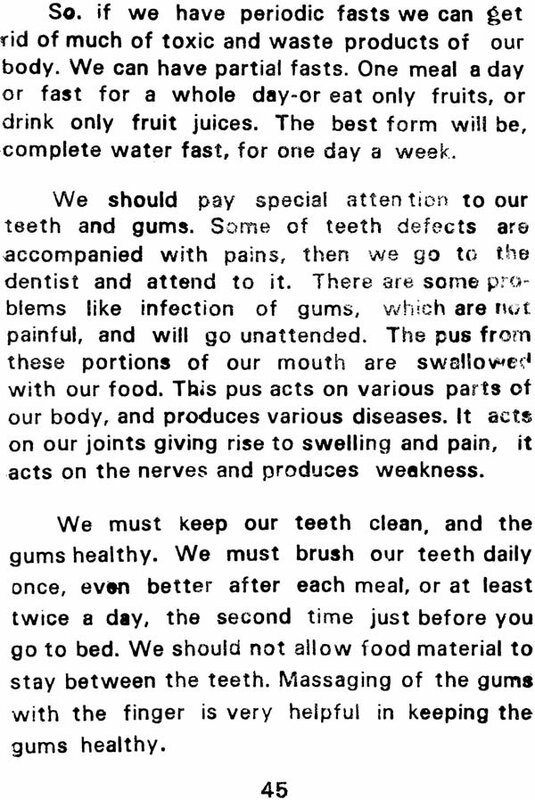 The cause of pleasure may lead to pain. Some others concluded pain and pleasure are purely mental outlook and there is really neither pain nor pleasure. We sometimes weep in a bad dream but when we wake up, we laugh that it was only a dream and that nothing really happened that we saw in the dream. According to Hinduism, the human birth is after several births in the various stages and the actions or the reactions are the results of the past samskaras or the sum total of the good and bad actions done in the various births. Man is reborn to reap his karma. Many do not believe in rebirth, and they advocate fantastic theories in support of their analysis. But here is my question for it. An young boy of six plays on the flute excellently. How can we account for it if there is no rebirth? Ramanujam was a great mathematician. How did he receive that wisdom? 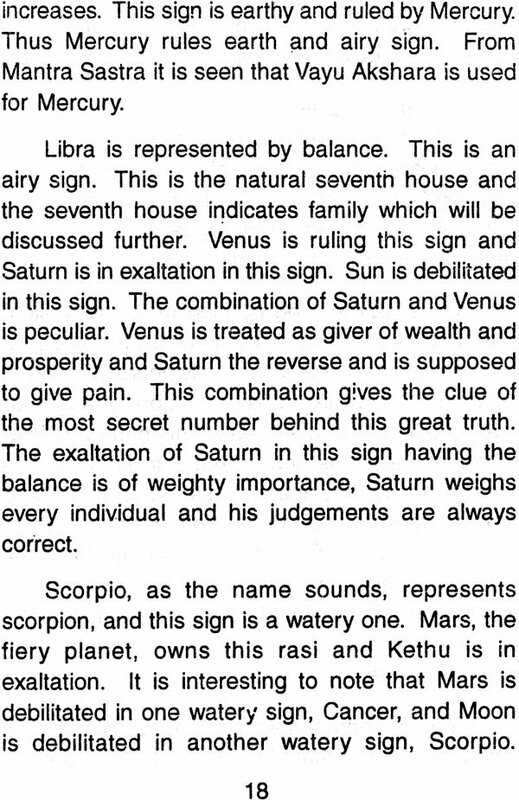 So there is rebirth and the birth chart or the horoscope reveals the major points of the new-born. The palm indicates the major points of life. And above all, it indicates the greatest truth which has never been explained by any author hitherto. The hand has direct linking with the time factor and this truth has been discovered by me after an analysis of several hands. The whole world is based on the time and the time is indicated by hours, minutes and seconds and the clock is working with the help of the pendulum. When we analyse this time factor we come to the numbers. The next stage is sounds. Everything can be measured. We measure electrictty in certain terms, steam pressure in another way, power of the engine by certain terms. 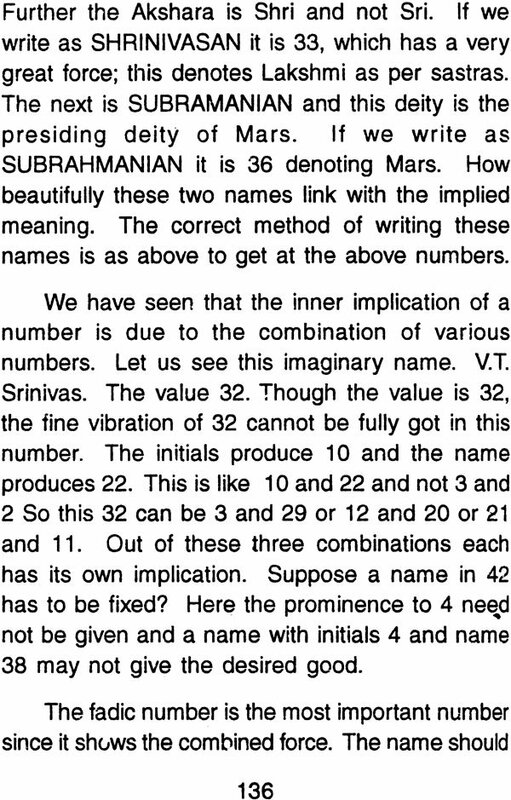 So also our ancient seers measured the Sanskrit letters in a particular form. But Chaldeans measured the English Alphabet in a different manner. They set out values for the letters. The background with which they found out the values is not the scope of this book and it requires another book to be published later. But when we apply the theory, it works well. 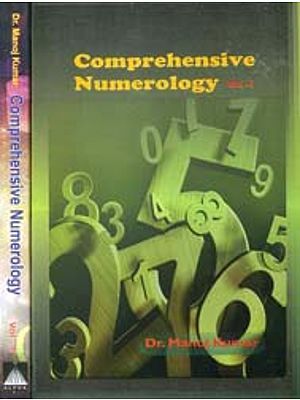 What amount of pleasure can be increased or what quantity of pain can be minimised by the science of numberology is explained. A fever may be a fever for a week or for three months. A gain may mean a few rupees or a few thousands.